What a turn out!! 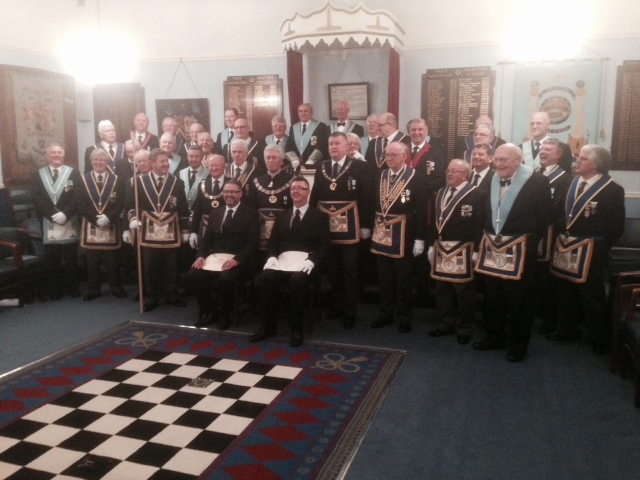 Pictured are the High Executive of the Province who attended the Henllys Lodge at their 400th meeting. This milestone was enjoyed by all who attended. An initiation ceremony was performed in an exemplary manner by all involved. The Worshipful Master (W Bro. Robert Hawkins) conducted the ceremony in his own inimitable way which no doubt left a lasting impression on the Initiate. One thought that springs to mind is considering the excellent attendance and success of the meeting, the candidate may be a little deflated at their next meeting!!! Well done to all concerned, and keep up the good work within your Lodge. Previous PostHypnotist evening at Henllys ‘entrancing’.Next PostThis months NMH 200 club winners.